It’s no secret, I love breakfast. If calories, cholesterol, and fat were not issues, I would eat two eggs over medium, Turkey sausage, sautéed breakfast potatoes with peppers and onions, and buttered rye toast, every day. But the reality is that we all need to be careful about what we use to fuel our bodies. 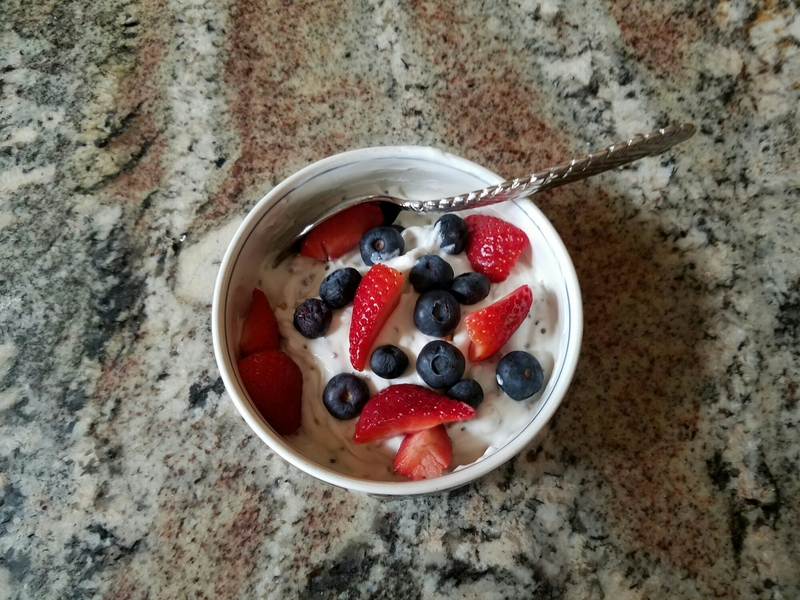 So this morning it was yogurt, with Chia seeds, a bit of granola, blueberries, and strawberries. It was delicious!